Posted on November 13, 2018 at 4:57 pm. 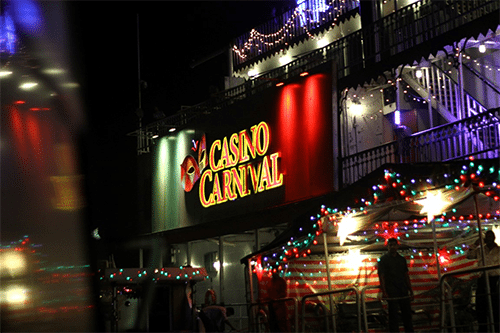 Casino Carnival is one of the most popular floating gambling destinations in Goa. The Casino Pride Group, operators of a casino in the Indian state of Goa, has acquired an Illinois riverboat, the Argosy IV, as a temporal platform as they repair other floating casinos. A report by Times of India indicated the group has purchased the riverboat, which was earlier this year put on sale for $8.5 million by owners. The three-deck Argosy IV conducted its gaming business on waterways in Kansas City, Missouri and Sioux City and Iowa before anchoring in Illinois. The boat made its way to New Orleans in September and was later loaded onto a semi-submersible boat for its journey to India. Pride Group operates the Casino Paradise in the Neo Majestic hotel in Goa capital, Porvorim as well as two floating casinos — Casino Pride I and Casino Pride II. Upon the arrival of the Argosy IV on the Mandovi River in Goa, several concerns were raised that the state government had issued a new floating casino license. However, the director of Pride Group, Shrinivas Nayak debunked the claims by indicating that the firm purchased the ship as a gaming platform to be operated when the company’s operational ships are sent to dry dock for maintenance and repairs next year. This keeps its floating casino business still active and the company found it necessary and a wise business decision to acquire a substitute. The Goa government has continually been postponing the relocation of its six floating casinos to a permanent place for some years now. The government initially planned to move all the floating casinos to a designated land-based gaming zone by 2020 but later changed the relocation year to 2022.